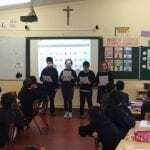 The boys and girls in Room 15 have been learning all about persuasive writing with Mr Mooney. 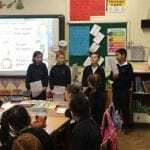 They then went to the other classrooms and read out a persuasive piece using their very best persuasive voices. 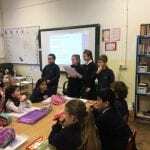 Posted on January 23, 2019 by stlouissps • This entry was posted in English and tagged Room 15. Bookmark the permalink. I love doing English with Mr.Mooney. He makes work so much fun to do.